This document outlines installing the Citrix Receiver client on a Windows desktop computer via the web. 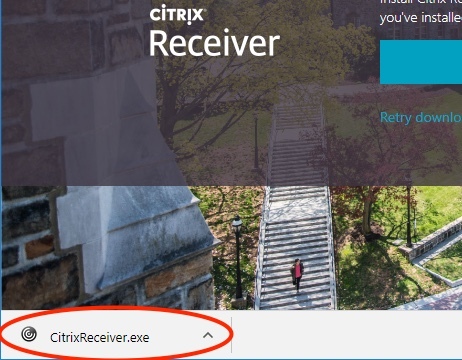 The Citrix Receiver client allows users to access and use software installed on virtual machines in the Lehigh Computing Center. For more information, see the main LUapps service page. To use the software, your client device must be connected to the Lehigh network, either directly with a cable or Wi-Fi connection, or remotely over the internet via the VPN. While connected to the Lehigh network, either directly or remotely via the VPN, open a web browser (Chrome is used in this example), and navigate to luapps.lehigh.edu. If the Citrix Receiver is not installed on your system, you'll see a request to detect it. Click Detect Receiver. When detection doesn't find the receiver, you'll be offered the option to download the receiver. Once the installer program has finished downloading, run it. In the Chrome web browser, the downloaded file will appear in the bottom left corner of the browser window. Click on it to run it, and start the installation wizard. On Windows systems, the installation wizard has four screens. Once the installation wizard is complete, return to your web browser, and click Continue. 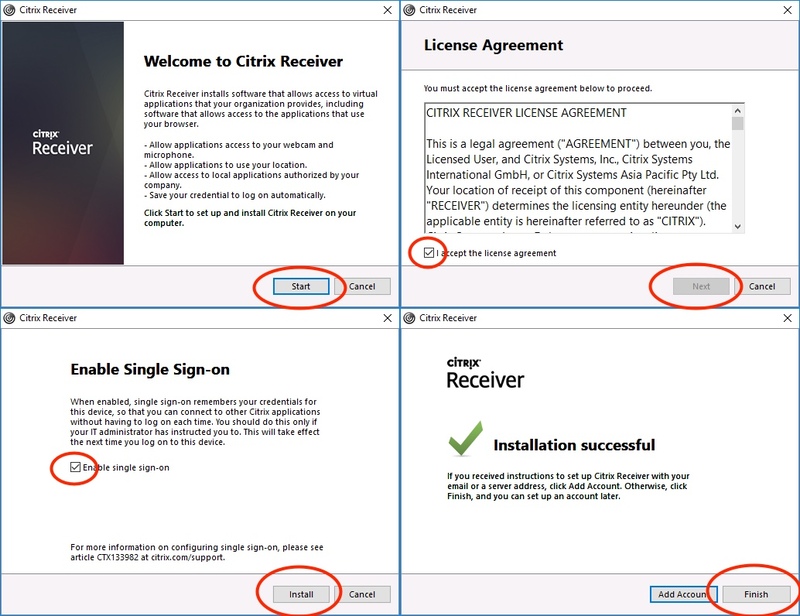 You may be asked to approve starting the Citrix Receiver Launcher. Respond in the affirmative. in Chrome, this means clicking Open Citrix Receiver Launcher. When you see the fields, enter your Lehigh username and password. Once logged in, you should see a window displaying all of the titles to which you're entitled. If you have questions about what applications are available to you, contact your Computing Consultant. Clicking on one of the application icons will start that application, and open that application's window on your screen. When opening or saving files in these applications, you'll be using the Windows file system, and it's highly recommended to save to your network file storage spaces. The default storage location is in the VirtualFiles folder within your 'H-Drive' (Personal Network Space). For a quick overview of those, see Finding your Network Storage Spaces in Windows.